Pakistan Awami Tehreek chief Dr Tahirul Qadri claimed on Sunday the Pakistan Muslim League-Nawaz government was “importing Islamic State fighters” to undermine the ongoing military offensive. 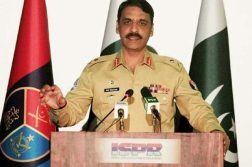 “The government is allowing the import of the Islamic State militant group in Pakistan to undermine the ongoing military operation, Zarb-e-Azb, against terrorists and their abettors,” the PAT chief said, while addressing the media in Lahore. 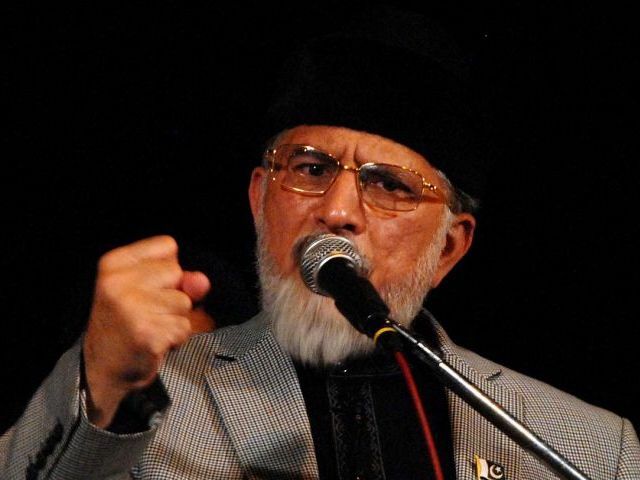 Slamming the government over its “corrupt agenda”, Qadri warned the PML-N led government of another sit-in. The PAT chief also threatened to besiege Prime Minister Nawaz Sharif’s Jati Umra residence in Raiwind, while demanding justice for the victims of the Model Town tragedy. “We want peace and stability in Pakistan but some elements are testing our patience,” he said quashing rumours of an alleged deal with the government over the Model Town incident. Further, Qadri informed his party workers that he went abroad owing to international engagements due to his Islamic mission. 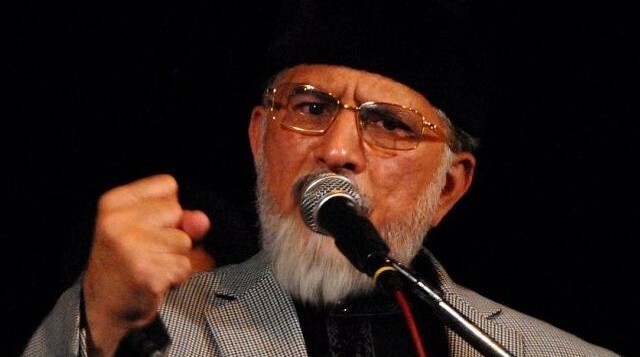 Qadri said his party will continue to struggle for the restoration of peace and prosperity in the country, adding it was the only reason he did not indulge into politics of agitation after the killing of his party workers in Model Town. However, the PAT supremo demanded that the Model Town case should be transferred to military courts, saying justice can only be served if strict action is taken against the perpetrators of terror. Last month, the PAT had expressed grave concern over the government’s apparent lack of interest in implementation of the National Action Plan (NAP) against terrorism. “The government is more interested in construction contracts. The banned [militant]outfits are reemerging. The 20-point NAP has been put aside for unknown reasons. It had called for action against armed militias, revamping of criminal justice system and dealing sternly with banned outfits,” the party said in a report about the government’s yearly performance. Earlier this month, the party requested Army chief General Raheel Sharif to apprehend the facilitators, the mastermind and the perpetrators of the violence in Model Town last year. On June 17, 2014, at least 14 workers of Qadri’s party were killed and 90 were in injured in clashes with police in Model Town, Lahore. A joint investigation team probing the deadly clashes held 10 police officers responsible, while giving a clean chit to the prime minister and the Punjab chief minister. d and 90 were in injured in clashes with police in Model Town, Lahore. A joint investigation team probing the deadly clashes held 10 police officers responsible, while giving a clean chit to the prime minister and the Punjab chief minister. What is this man on? Take him to the looney asylum, for the sake of all.